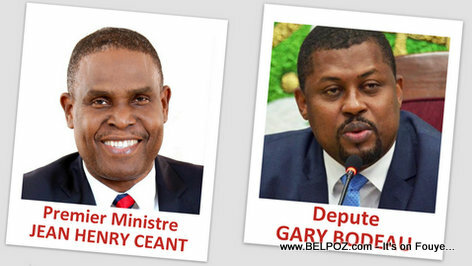 While Haitian prime minister Jean Henry Ceant is preparing to face the Senate next Wednesday, March 20th, for an interpellation session, 70 deputies decide to "interpeller" PM Ceant Monday, March 18 2019, and Depute president Gary Bodeau says the days of the Prime Minister are numbered. With or without the presence of Prime Minister Ceant and his cabinet the meeting will be held, the Depute president Gary Bodeau said. "The questioning of a prime minister is a political act. I hope quickly, if this inquiry leads to a vote of no confidence, that the President of the Republic can get together with the political class to form a new government. "Political instability is not profitable to anyone," said Gary Bodeau said.